I'll be Here Next Friday!! 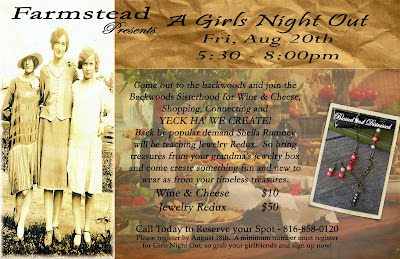 Back by popular demand, Farmstead will be hosting a special Girls Night Out on Friday, Aug 20th. 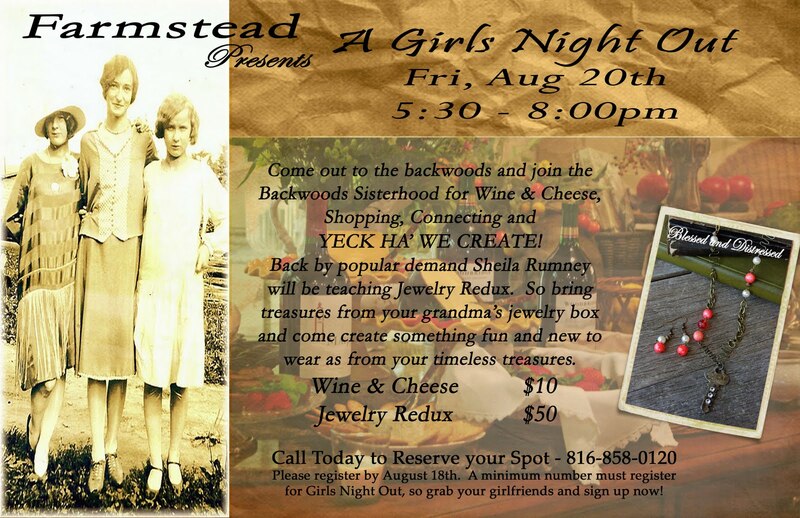 Load up the car with your girlfriends and head on out to the backwoods and join the Backwoods Sisterhood for Wine & Cheese, Shopping, Connecting and HECK YA' WE CREATE! 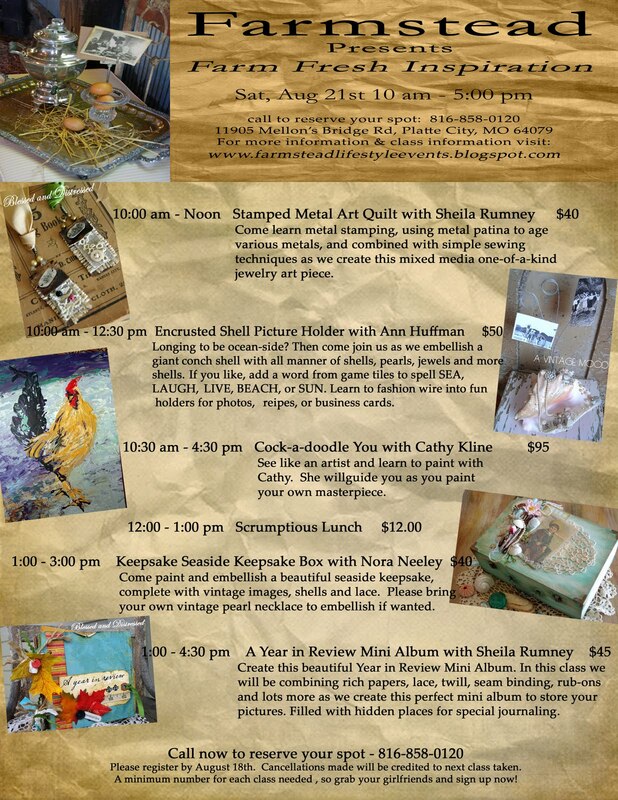 I will be offering a Jewelry Redux Workshop that evening from 5:30 - 8:00 pm. Come and turn your old necklaces into new and beautiful wearable necklace. Register by August, 18th. A minimum number must register for Girls Night Out, so grab your girlfriends and sign up now! Oh this sounds like it would be so fun. Next Friday nite, I will still be hiding inside because the weather is awful here. But I'm getting lots of crafting done. Should be organizing and putting things away from our trip but that's not quite as much fun. Wish I could join you but I'll be taking Alex to school that weekend. Have a great time. SO wish I could be there Sheila! !